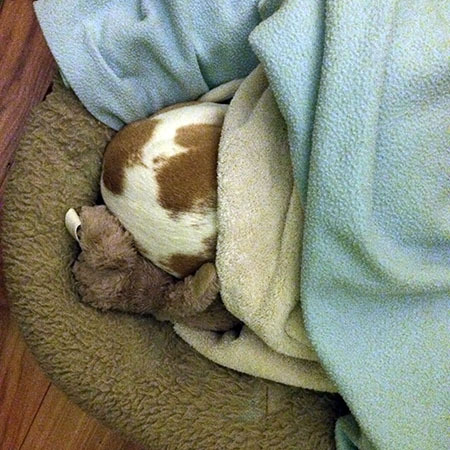 We’re having a lazy Sunday here, Miko burrowed himself and his toy under blankets in his office bed since it’s been an oddly foggy and chilly weekend. 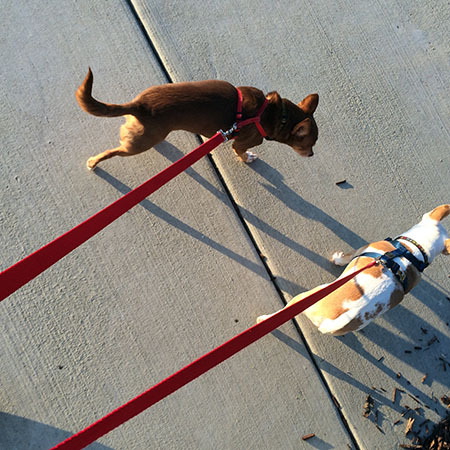 The sun did come out yesterday afternoon, so I took the chihuahuas for a long walk. 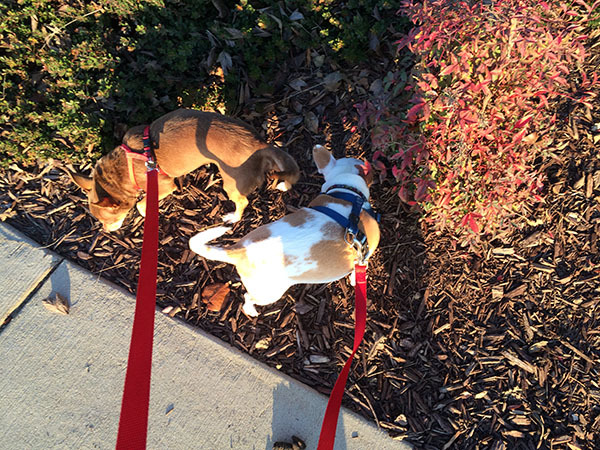 Really long walk since they like to stop and smell everything! 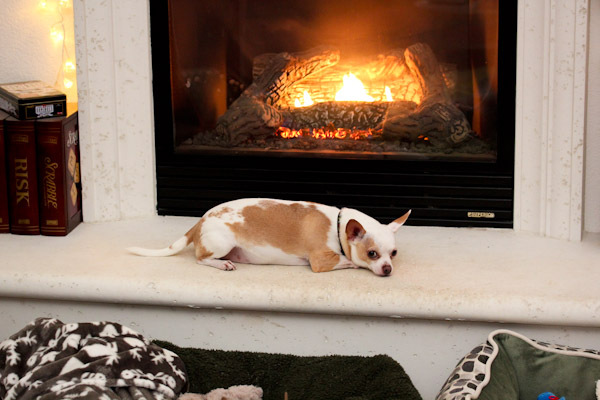 It was such an exhausting walk, Leela crashed in her bed and Miko in front of the fireplace after. 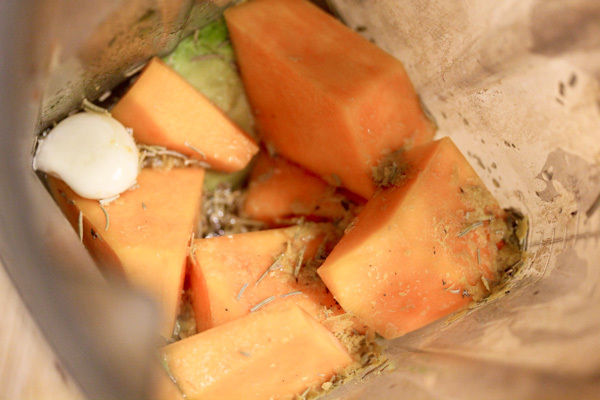 And I created another avocado dressing for a dinner salad and also to use up a butternut squash. This one came out great, it’s creamy, tangy, savory, and has a nice, warming winter flavor from rosemary blended with garlic and tangy citrus. The color is interesting, sure. Hubby made a Shrek joke when he saw it – ha ha. 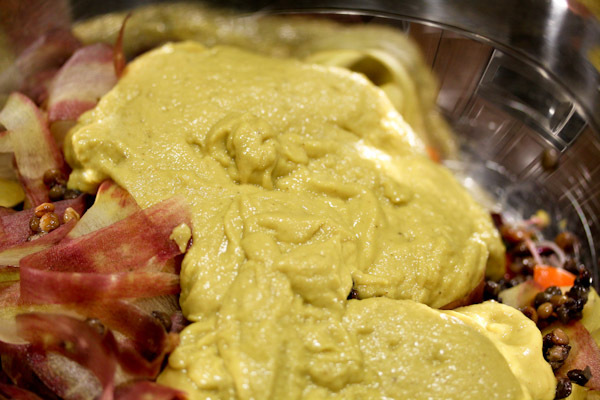 But it’s also thick and creamy, perfect for coating a salad. 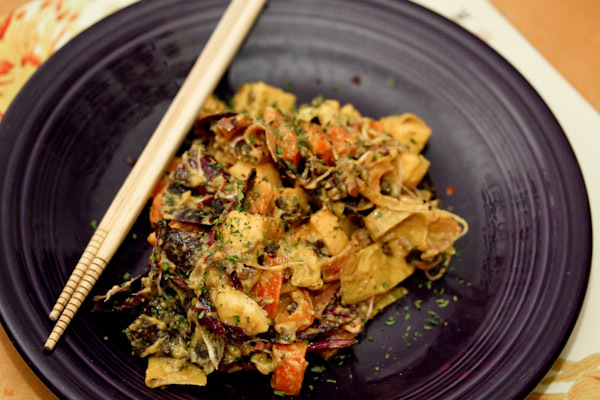 It was excellent in a meal salad with red spinach, carrots, apple, spouts, and steamed lentils. Ugh, so sorry about your weather, hope things are better now! We’re still very dry here, a little scary being so low on rain.